You would never guess two-time rally champion Marcus Gronholm hasn't raced in the WRC since the end of 2007 from his dominant Day 1 performance at the Global RallyCross Championship yesterday. Gronholm proved that retirement hadn't dulled his rally skills by driving his Ford Fiesta to a victory in the SuperRally event. Not only was the former Champion the fastest qualifier, but he didn't lose a single heat on his way to the SuperRally win. 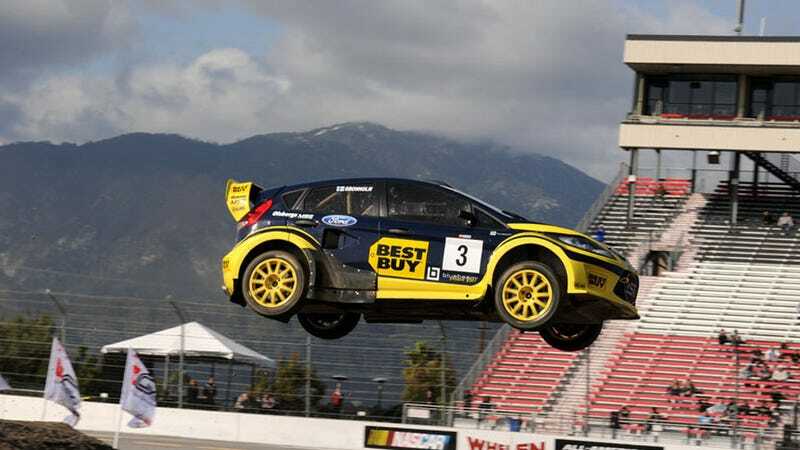 Global RallyCross Championship action will continue today with the Main Event from Irwindale Speedway.